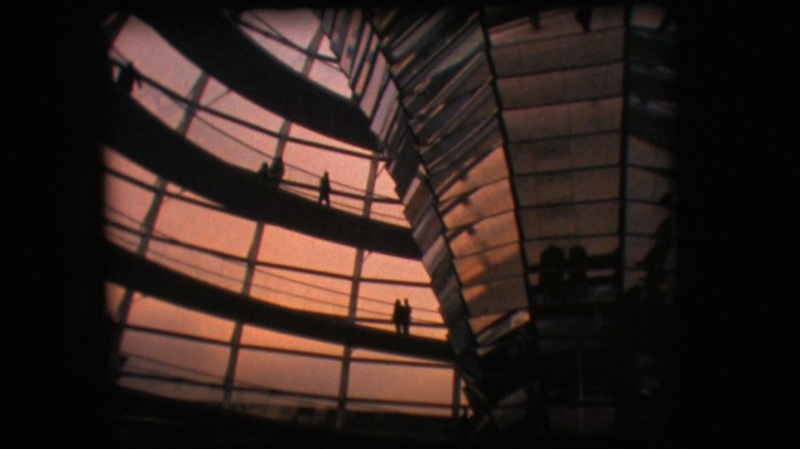 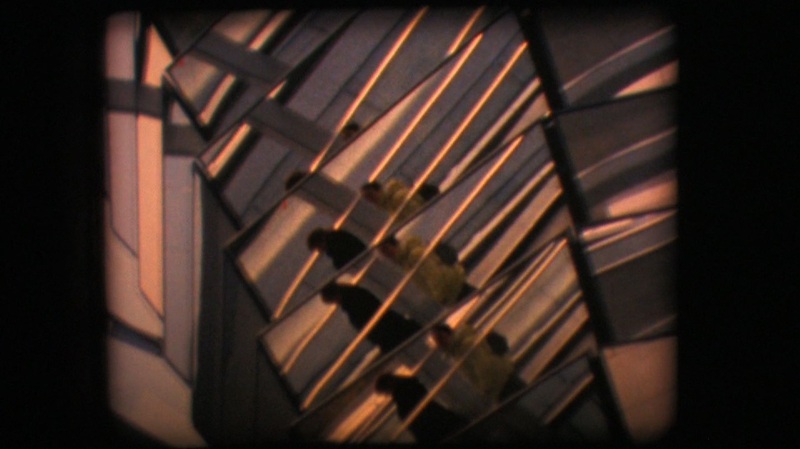 “Fresnel” is a short super-8 film that explores the optical effects created by the massive inverted fresnel lens at the centre of the Reichstag dome. The architect Norman Foster designed this giant lens and glass dome, with its distinctive perambulatory ramp, to replace the original 1890s steel cupola on the infamous building. The Reichstag’s fresnel lens works exactly like a typical light-house fresnel lens – but in reverse, magnifying and projecting the sun’s light down into the Bundestag chambers (the national parliament of German). 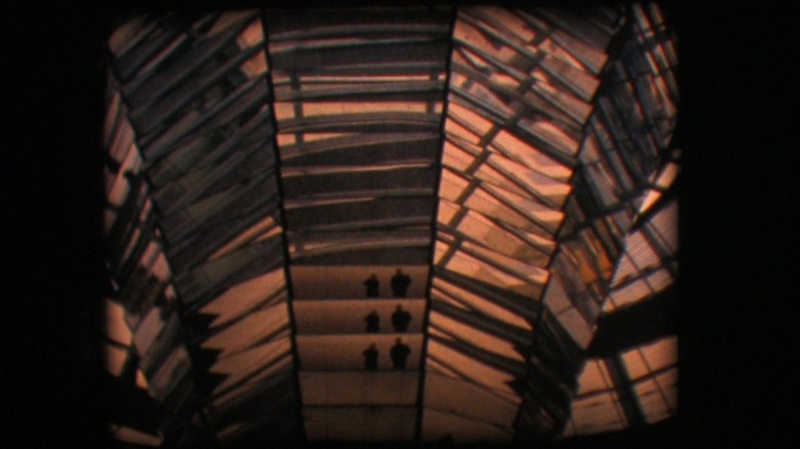 Fresnel lenses reduce the amount of material required to project light compared to a conventional plano-convex lens of equivalent power, by dividing the lens into concentric prisms, which magnify the light. Following the ramp upwards, the camera’s lens captures splintered reflections of people moving through space and shards of late afternoon sunlight cast against the building’s glass and steel interior.